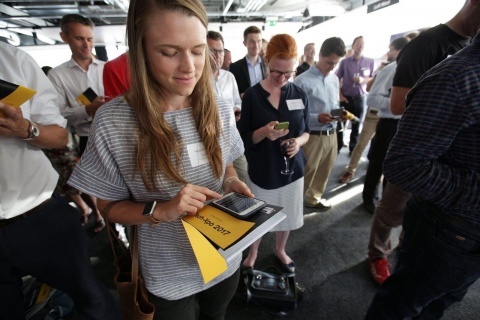 SETsquared Bristol has announced 20 exhibitors from Bristol’s world-leading tech scene for this year’s Tech-Xpo line-up. The annual event will take place on 28th June 2018 at Circomedia in Portland Square, Bristol. The invite-only showcase is an opportunity for exhibitors to meet potential clients, investors, partners, and new connections. Last year’s event, saw Lisa Matthews, CEO of Kairo (now known as Our Canary), win ‘Best Elevator Pitch’ as voted by the audience. This year, she will be exhibiting their chat-based assistant for work and home. The roll call of companies exhibiting at Tech-Xpo 2018 includes A2Z Technologies, AutonoMe, beebooked, Cerberus Security Laboratories, Cotham Technologies, Duel, VIKA Books, Fluence World, Good Sixty, Gradient, Our Canary, Interactive Scientific, IoTechnics Ltd, LettUs Grow, Living DNA , Metasonics, Studio Meineck , Test and Verification Solutions, YellowDog, and YoUrban. For a number of successive years, local lawyers VWV, have supported the Tech-Xpo event in recognition of the importance of the tech sector particularly in the South West. Oracle Startup Cloud Accelerator, Bristol Private Equity Club, and ForrestBrown complete the sponsor line-up. “VWV are delighted to sponsor the SETsquared Annual Tech-Xpo 2018 – our eighth consecutive year as a main sponsor. SETsquared and its ventures continue to be a cornerstone of our technology sector practice and we are very proud of our association with it. Companies pitching at Tech-Xpo in previous years have gone on to celebrate large successes, including Interactive Scientific, who have been awarded multiple accolades in the time since, including Founder, Becky Sage, being named one of the top 15 Women in Innovation in the UK. Those pitching for business at this year’s event will be announced in the coming weeks. For more information on SETsquared Bristol news, opportunities and events, sign up to receive the monthly newsletter.